AS PART of efforts to upgrade police assets and weapons, the Philippine National Police (PNP) national headquarters on Monday, February 11, turned over guns and vehicles to the Police Regional Office Northern Mindanao (PRO-10) in time for the 28th PNP foundation day celebration. Police Director Edwin Roque, director of the national headquarter directorate for logistics, graced the celebration at the regional headquarters in Camp Alagar in Cagayan de Oro City and led the turnover of some 830 assault rifles, 100 9mm pistols, a 30-seater coaster minibus and a Hi-lux patrol vehicle. "Dili pa unta ni schedule for distribution pero kay ang atong bisita is ang in-charge sa logistics man maong iya na lang gisabay ang pagdala sa maong regalo to coincide with our celebration," PRO-10 spokesperson Superintendent Surki Serenas said. Serenas said the regional headquarters will determine the recipient police units or police office of the new police assets. 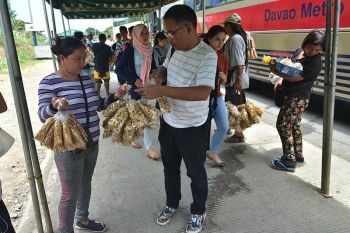 However, he said it will likely be distributed to areas in the region that are facing internal security concerns such as Bukidnon, Lanao del Norte and Misamis Oriental. Also, the cities of Iligan and Cagayan de Oro will possibly receive new guns. "Possible na gihapon ila kay naa may mga swat units nga kinahanglan ug special weapons. Ato nang i-determine diretso aha ni i-distribute kay dili man pwede nga magdugay ni diri kay kailangan mani gamiton," Serenas said. "Ang coaster diri ni sa Alagar kay gamiton for general purpose like naa tay mga bisita, conferences or command visit across the region," he added. Serenas explained that there is a need to upgrade the resources of the police though it is already equipped with necessary equipment. 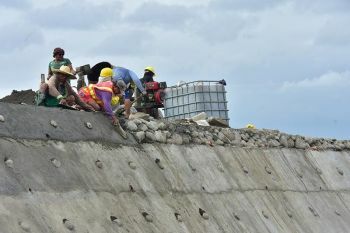 "Tanan naman ta 100 percent issuance but we have to upgrade our resources kay ang enemies of the state ga-upgrade pud," Serenas said. He said the PRO-Northern Mindanao is expecting more police assets to be turned over by the national headquarters.